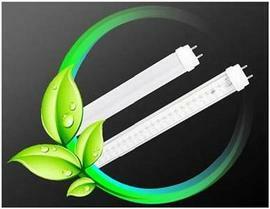 Energy Savings: LED lighting offers excellent light quality for both indoor and outdoor uses. It takes 50 incandescent light bulbs or 8 CFL’s to equal the lifespan of 1 LED light bulb. LED light emits 90% less heat than a conventional bulb therefore producing more light than heat and gaining maximum energy efficiency. State-Of-The-Art Technology: An LED light is the bi-product of electricity jumping between two different alloys. This produces a small amount of light and depending upon the alloys, the color is dictated. LED light is truly a solid state light a as there are no gases, no filaments and no moving parts to fatigue. Environmentally Friendly: They are made from non-toxic materials and can be recycled. Long Lifetime: an incandescent has a life of about 1000 hours, a halogen about 2000 hours and an LED can last about 50,000 hours. Maintenance Free: LEDs are able to withstand extreme temperatures, magnetic environments and there are no moving parts. Save money & energy: As a rule, an LED consumes less than 0.1 watts to operate. No Heat Output: LED's create a very efficient light source as they convert almost all the energy used into light.